Bell and Ross is having a photography competition at the moment. It will run from the 9th of February to the 1st of March, 2011. 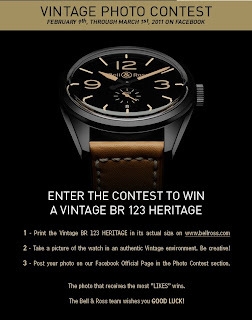 All you have to do is to print out an actual size copy of the Vintage BR 123 Heritage and take a photograph of the watch in what you think is its natural environment. 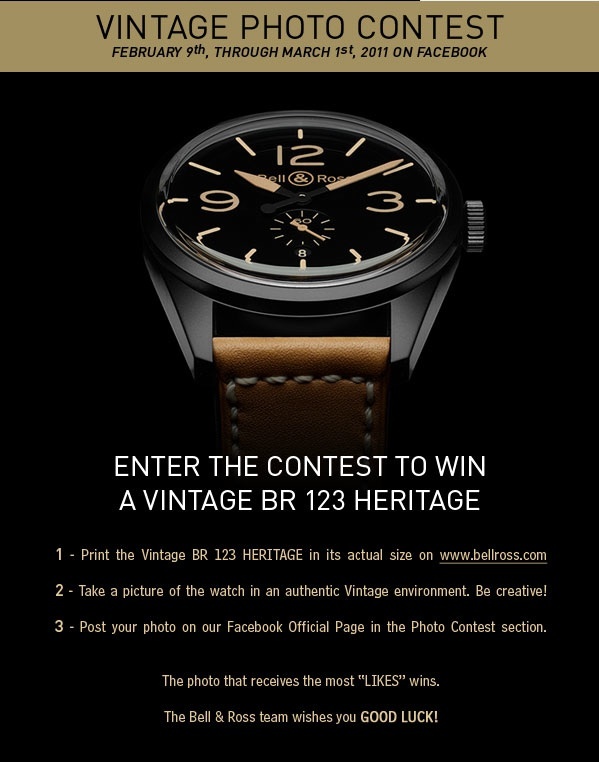 Post it on Bell and Ross Official Facebook page and the one with the most votes wins a Vintage BR123 Heritage.